Disney did good guys. This film deals with some touching and sometimes difficult questions that can come from kids (the demographic this is aimed at) while being funny – and punny – enough for teens and adults to enjoy the movie just as much. 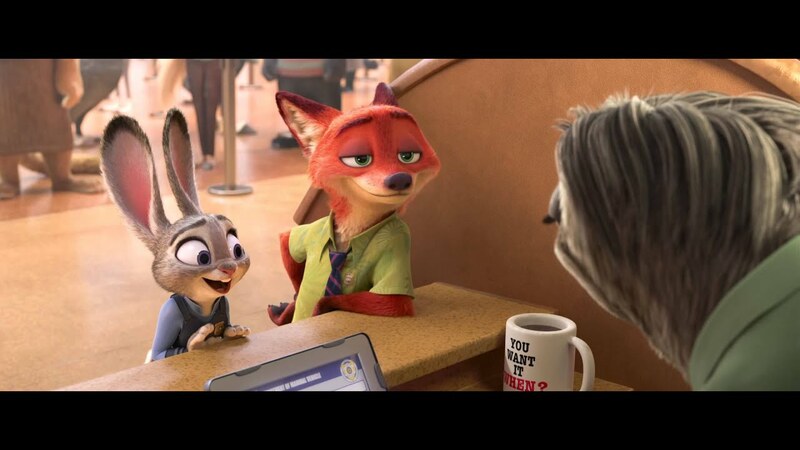 Dealing with issues such as discrimination and acceptance, Disney employs Judy Hopps, the first ever bunny cop who just isn’t taken seriously in her department. The inclusion of Nick Wilde a misunderstood fox who use to believe he could be more before society stomped him down leads to an endearing and trying partnership allowing for both characters to grow up and effectively deal with all that comes their way by working together. This film also doesn’t fall into the usual animation traps, where the obvious ears on a rabbit are ignored in favour of a more human positioning when listening with earphones or while on the phone. In this film however, they successfully navigate this by Judy using earphones in her ears, not the invisible human ones we have to assume to be there. The use of Carrot instead of Apple technology also left me smiling along. The fan service to Disney fanatics is also in there for you. I hope you all notice the Frozen reference as well as Moana’s little cameo. As for the animation, it is really smooth with Judy and Nick looking fluffy, the backgrounds are well detailed and the scenes where there is a lot of movement is slick and seamless. While not on par with How to Train your Dragon 2’s level of animation, this is done is a different, if slightly simplified style. This style allows for more animated expressions on the characters which is more appealing to children. I found this style endearing and allowed for me to understand what the characters were feeling as the movie progressed (Judy’s ears in particular). Overall this was an enjoyable film that sends out the right message to children on why discrimination is wrong and what it does to people. The inclusion of the “adult” jokes are well disguised and the fan-service is appreciative. A clear Four stars!